Add a touch of elegance to your promotion! 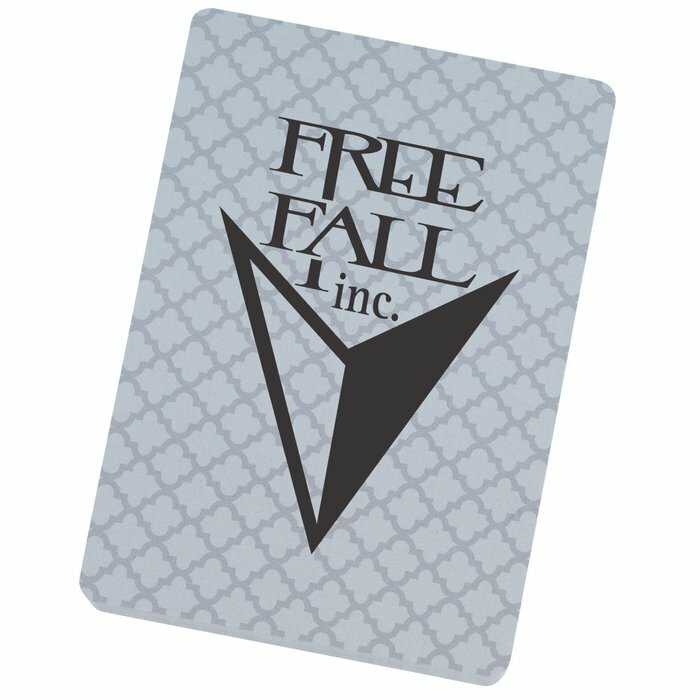 Each deck includes 52 cards and 2 jokers per pack and the backside of cards feature an elegant decorative print. Great for home poker nights, company party entertainment, fundraisers, casinos and much more. Also makes a great customizable souvenir for popular golf courses and golf tournaments. Each deck of cards is packaged in a standard tuck box with see-through window. Size: 88 x 63 x 15mm (3-1/2" x 2-1/2" x 5/8"). 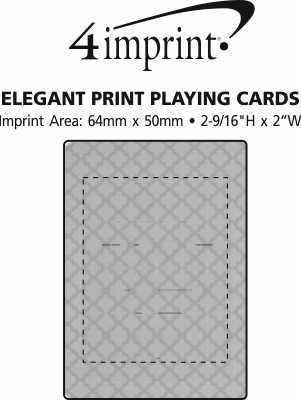 Your price includes a one-colour imprint on the back of each card.